Santa was good to me this year, and I'm feeling quite spoiled. I'm so lucky to have all the people I love in my life, and on top of being wonderful people they are also generous. Here are some pictures of new things I was given for Christmas. Richard gave me a Robot Tea Diffuser, which is adorable and makes me laugh because it looks like he is hanging out in a jacuzzi. 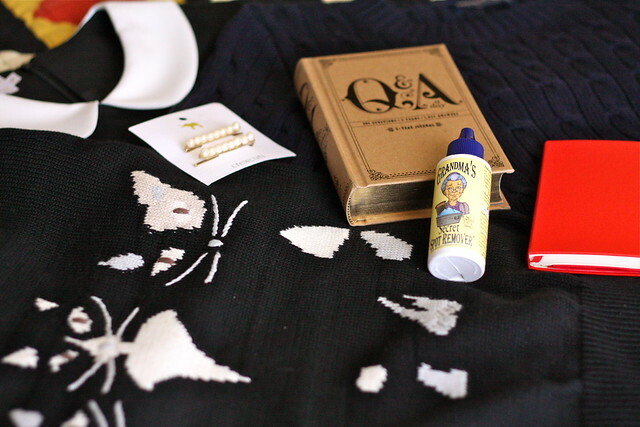 Cozy sweaters, a very 60's dress and some surprises from my mom. A wonderful 5 year journal that asks a question everyday for a year to be used as a sort of time capsule of thoughts. 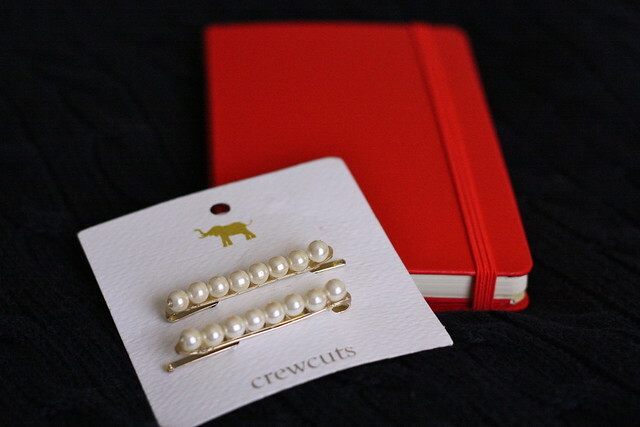 Pearl hair clips and a new Moleskien day planner. My jewelry box from Rich, and the presents from inside. A bike pendant and a cat lovers pin from Etsy, and the Lapis Triangle Cut-Out Necklace that I've been wishing for from Garnett Jewelry. 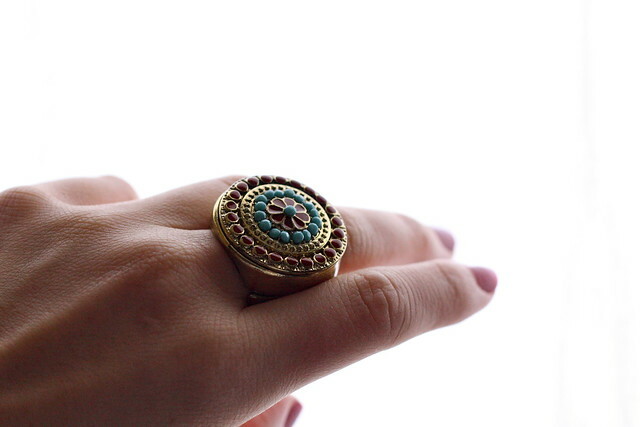 A ring that reminds me of Turkey from my Grandparents. So, what did Santa bring you this year? Santa was good to you this year! You'll have to post pictures of you wearing the cat sweater soon, it looks adorable. 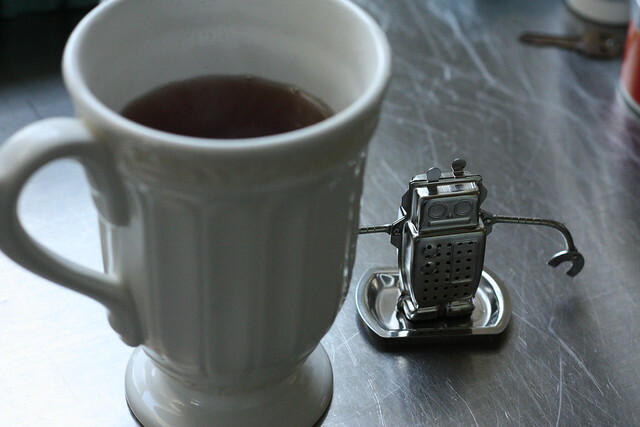 I'm also amazed by the robot tea infuser, it's such a fun little surprise in your cup. Lovely Christmas photos in the last post. 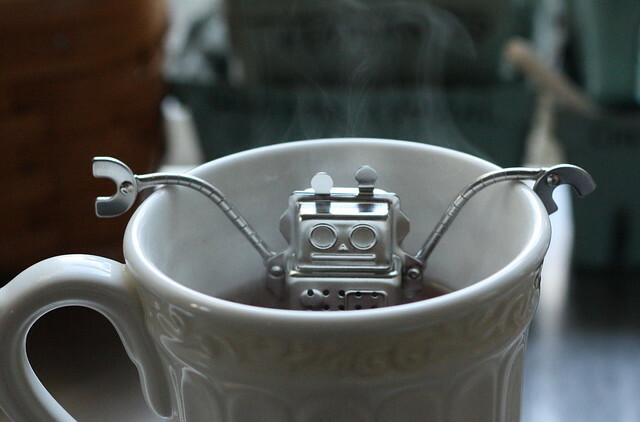 That robot tea-diffuer is too cool! What a great gift. What great presents! I love that little tea diffuser. He looks so cool! I got DVDs and books, and a blender, and Kate Spade's Twirl. Wheeee. Oh mygosh, that coffee diffuser is tooooo adorable! hahahaha. I also like your knit sweater. it's totslly cute! and i'm curious about that Q and A book. It seems interesting. This year I got a prety wool twinset and The Muppets pyjamas. wow wow wow!! Love them all! that Q & A journal is sooo cool! Before I'd even read to the end of your post I'd ordered that diary off Amazon. Such a cool idea! Like an ongoing time capsule. Loving the jewellery box too and all the other bits and bobs! They're all clearly really thoughtful presents! I got a lovely camera bag for Christmas, a million and one books and I have a new camera lens & some other surprises from my boyfriend that all got delayed in the post (or not ordered in time..ahem!!) :) Happy New Year!! where did you get the Q and A year book from do you know? I would love to own one too. 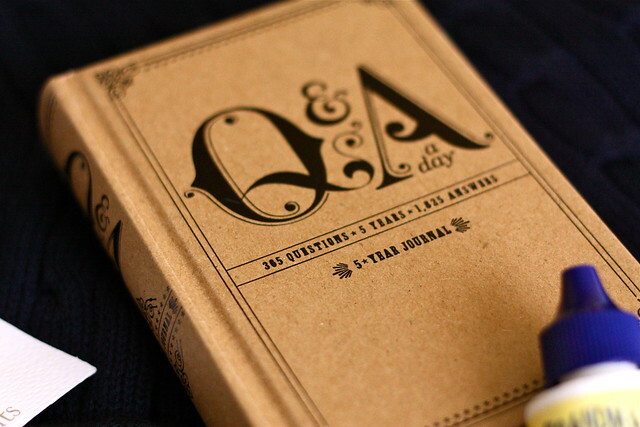 I really want that Q&A a day journal! Writing each night can be tedious, especially when you're a blogger and you already spill half your guts on a daily basis! It will be fun for you to look back and read your answers in a few years. 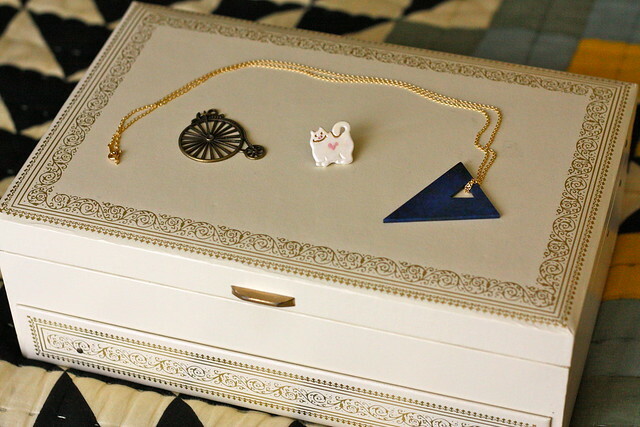 That jewelry box is lovely too! Kallie, I WANT that little robot. I love how cheerily chilled out he looks! Great gifts! That tea diffuser is so cute, so is that little kitty pin. I received a muffin cookbook and a trio of glass measuring cups, plus a waffle maker. I'm quite happy!